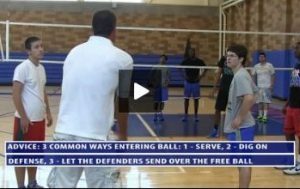 In this video Kerri takes over practice again and runs a 6 on 6 drill. Andor points out a few things that he thinks Kerri should consider in running the practice in order to make it a little smoother and better. This includes adding serving and passing sooner in the practice as well as how Kerri is initiating the plays on the ball.